The contemporary lines and hues of Arctic Storm Bamboo pattern backsplash tiles create a unique and on-trend design. 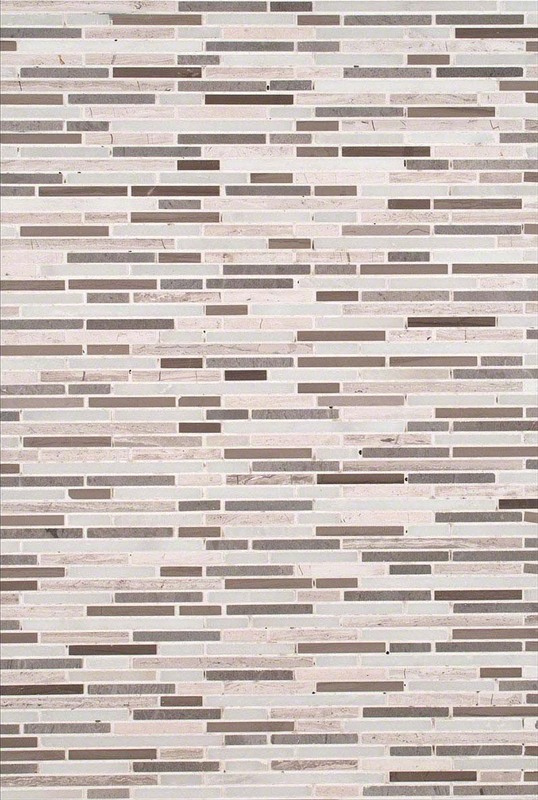 Crafted from varying tones of natural marble, this is the perfect bathroom or kitchen backsplash tile for contemporary and modern designs. It steals the show in an all-white space as the headliner, and it can blend beautifully with softer, earthier tones too.